The Best BLACK WKND & Cyber Monday Deals for Crossfitters! BOXROX BLACK WKND brings you the best deals for this years Cyber Weekend. Go to the next deal! adidas is synonymous with fitness and pushing yourself to become a better individual every single day. Invest in your health with a new pair of top quality lifting shoes, or high grade functional fitness gear from the climachill, techfit or Alphaskin series. Make 2019 the year when you achieve those big targets that you’ve been aiming for. Pick up a pair of Adidas Powerlifters and send your Olympic weightlifting and strength work through the roof next year! 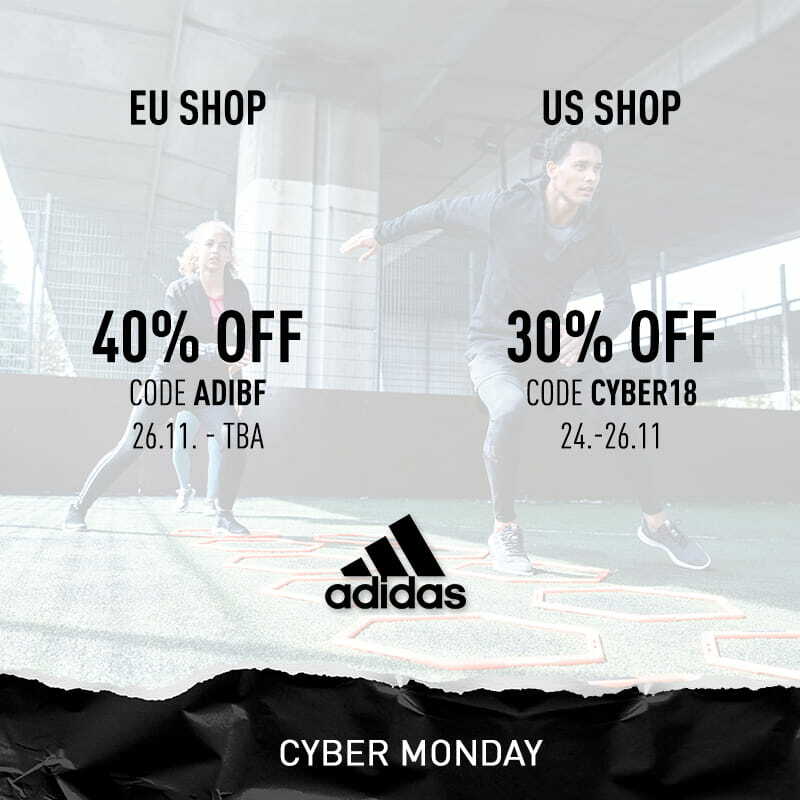 adidias Europe and US offer great discounts of up to 50% OFF, so take this opportunity to get equipped! The Black WKND and Cyber Monday Deals are the best time of the year to buy, so treat yourself for working so hard day in, day out, both in and out of the box!